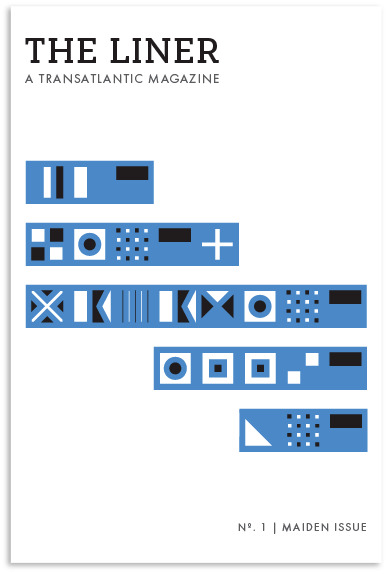 An epistolary magazine of writing and art. Featuring stories and poems by Mustafa Abubaker, Neelanjana Banerjee, Sean Dougherty, Romesh Gunesekera, Marian Kilcoyne, Andrew Knauer, Elizabeth O'Brien, and Allen Sweat. Art by Morgan Blair, Matt Craven, David Jien, Marissa Textor, Paul Wackers, and Noah Wilson. Plus our Thornkim Questionnaire. 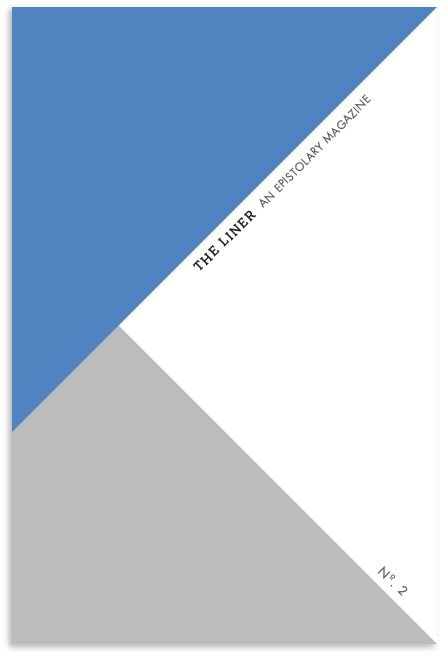 Batten down the hatches for the maiden issue of The Liner! Featuring familiar voices as well as the work of emerging writers and artists, our first issue sails the literary and visual spectrum to bring you the very best. Along with a variety of coming-of-age stories by Sherard Harrington, Caitlin Thomson, and Lisa Wong Macabasco, Gina Zupsich’s scent story guides us through a sensory journey of the Paris Underground. The poems, by noted writers Blake Morrison (And When Did you Last See Your Father?) and Maura Dooley (Life Under Water) and published poets Kenneth Pobo and William Doreski, are exquisite narratives that leave us longing for more. We also feature visual art from artists and photographers from around the world. Melbourne-based photographer Dave Carswell captures “life on the lines” on his medium format camera and Dominic Silverthorn, who built his own pinhole camera out of wood, explores the English countryside. Our New York-based artists, Christopher Channing Daniels and Benjamin Edmiston, bring to life colorful and vastly different lives. To further understand the people behind the work, we had our contributors answer the Thornkim Questionnaire, our answer to Proust’s, which asks the twenty-one questions you’d potentially want to ask anyone you want to keep around in your life. Suffice to say, we’re glad we chose these twelve.